Quick response and ease of use are characteristics that you hope to find in the best bread maker, and almost every bread maker review lauds manufacturers who include them. 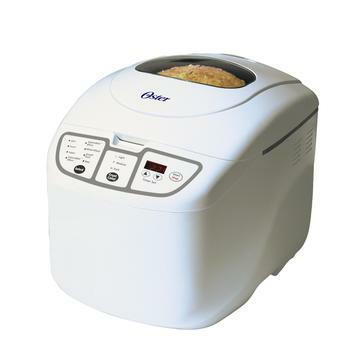 The name of the Oster 5838 Expressbake bread maker emphasizes its quick response. Its control panel is one of the simplest that you can find. In the morning when you are probably not interested in reading fine print, the panel makes it easy to select the type of dough that you want to prepare. What goodness can one expect out of Oster Expressbake bread machine? Ready? Let’s start. Technology has simplified the bread making process so that you can produce a fresh loaf whenever you want it. Some popular preferences that the best bread maker usually includes are basic, French or sweet bread. The Oster 5838 displays them and another option that lets you specify whole wheat, flour that is more difficult to work with than the bleached variety. There is a setting for making dough that you can use to create your own pasta, pizza, pretzels, rolls, cinnamon buns or one of your own innovations. You can even make your jam when you use the bake setting. The user manual has recipes that may spark your creative instincts. A loaf of Italian herb bread or one made with chives and cottage cheese can wake up the taste buds. Making your own coffee cake lets you enjoy a treat that is fresher than one that you get from your grocery store’s bakery, and you can serve it warm. 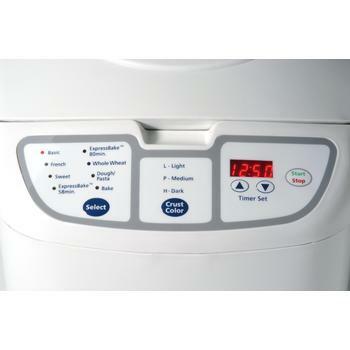 As you search for guidance in a bread maker review, look for a unit that is easy to use. Indicator lights, up and down arrows that let you adjust cooking time and a digital display contribute to ease of use. 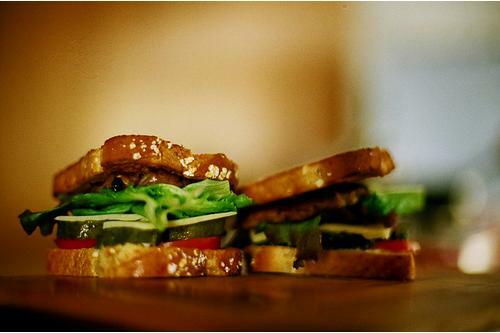 Fast cooking is feature of the machine, and you can have a ready-to-slice loaf in either 58 minutes or 80 minutes. The two pound loaf needs to cook a little longer than the one that weights half a pound less. 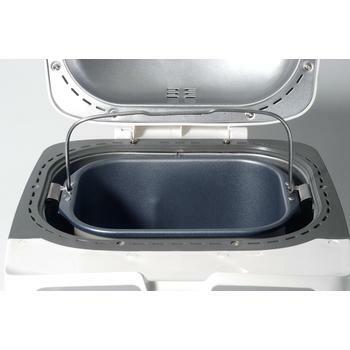 The aluminum bread pan has a nonstick surface that makes it easy to eject a loaf. An enjoyable convenience is a feature that lets you delay the start of baking for up to 13 hours. If you take a moment to program it before you leave for work, you can have a loaf of bread ready for dinner without doing anything else. The best bread maker lets you succeed as a baker the first time you use it. Avoiding the preservatives that are routinely included in bread that you buy is a powerful motivator for health conscious consumers, and you get to use the freshest ingredients when you make your own. Cinnamon and raisins are sources of nutrition, and adding them to your bread makes it tastier and healthier than one that is loaded with chemicals. Technology makes many things possible, and it has made a machine that scores well in any bread maker review. The Oster 5838 unit is compact, with dimensions that are approximately 11 by 14 by 11 inches. A large viewing window on top of the lid gives you a wide view of your bread as it bakes so that you can resist the urge to take a peek inside. The housing is cool to the touch, posing no danger of getting a burn from touching it. Priced moderately, the unit gets high marks in a bread maker review. The delightful aroma of fresh bread may encourage you to remove it from its nonstick pan as soon as it is done, but there is a setting that keeps it warm for up to 60 minutes. Is Oster 5838 a Buy Call? Being a no-frill bread maker, Oster 5838 Expressbake is great at the fundamental task that it is designed for. If baking fresh loafs of bread is all you need, it is up to it. But if you prefer your bread to be a little more nutty or fruity, this basic bread machine may not have the advanced features that lets you accomplish the task without much hassle. Automatic fruit and nut dispensing feature is a feature that’s usually reserved for the more expensive models such as Zojirushi BB-PAC20 Virtuoso or Breville BBM800XL.